A high-style redesign bucks the anonymity of previous Accords, and new turbo engines offer a different kind of performance than previous V6 models. 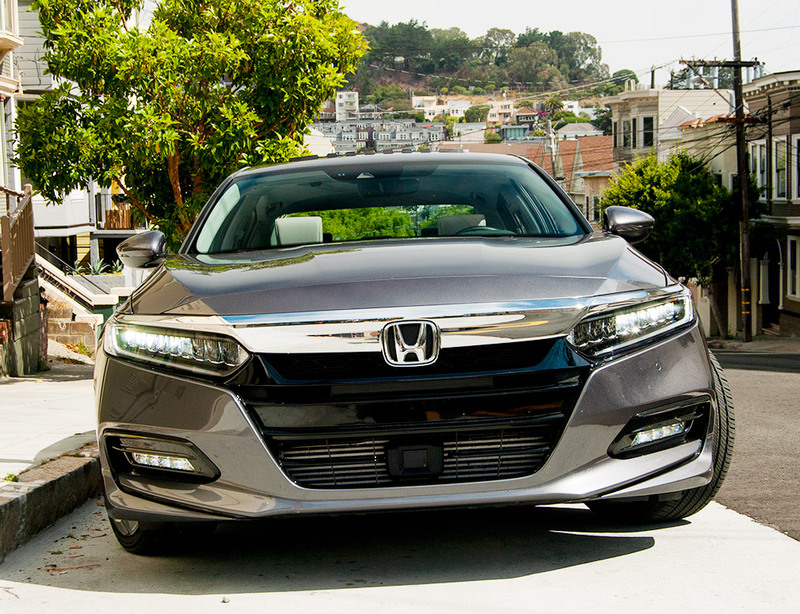 The Honda Accord was re-thought for the 2018 model year, and the result was a new direction for Honda‘s popular mid-sized sedan. 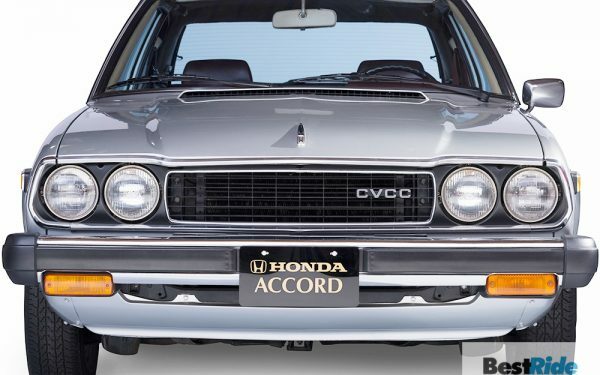 The Accord was a holdout for Honda‘s traditional values of avoiding trendiness, retaining a relatively boxy shape as its competitors fell lockstep into dramatic fastback shapes. 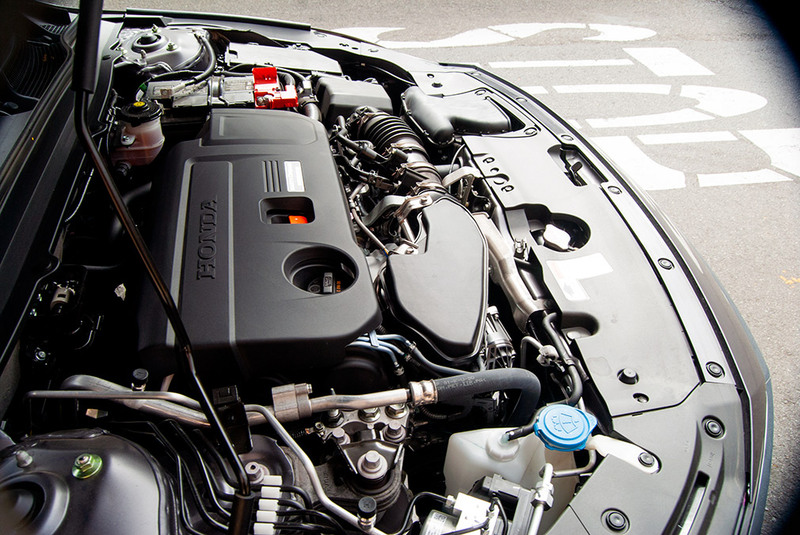 It was also one of the last to offer a performance-oriented V6 engine, while others migrated to four-cylinder engines backed up by turbochargers. With the latest rethink, the Accord has further melded into to its market. It now has the slicked-back profile of its competitors, and the maximum number of engine cylinders stops at four. This means that appreciating the new Accord means letting go of old expectations and embracing what it has become – a popular car that maintains its own clear set of advantages, despite riding closer to the mid-sized herd. Five basic trims separate the Accords – LX, Sport, EX, EX-L, and Touring. Prices start at $23,720 for the base LX and climb to $35,950 for the tested Touring. 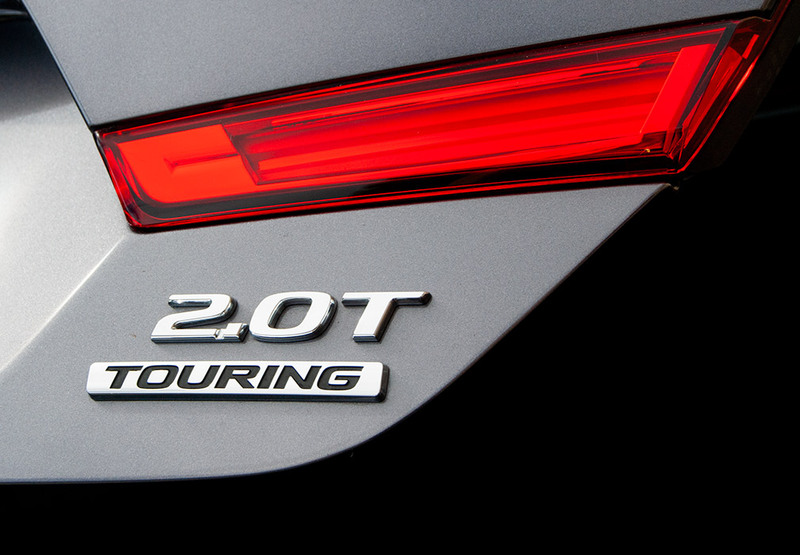 It’s known as the 2.0T Touring on the sticker, which indicates the biggest difference between these Accord trims, the engine. A 1.5-liter turbo is the only offering on the LX and EX, while the Sport, EX-L and Touring allow you to select it or the larger 2.0-liter turbo. The tested 2.0T Touring had no options and rang in at $36,845, after adding the $895 destination charge. Looking for a new or used Honda Accord? Check out BestRide’s listings search here. Not surprisingly, the Accord continues to lead its class with exemplary crash-test ratings from the Insurance Institute for Highway Safety. It’s a 2019 Top Safety Pick. 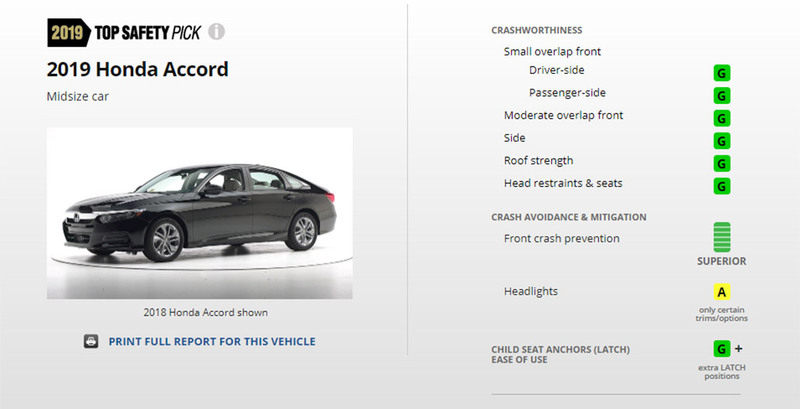 Honda Sensing, the brand’s active safety suite, is standard on all Accords. 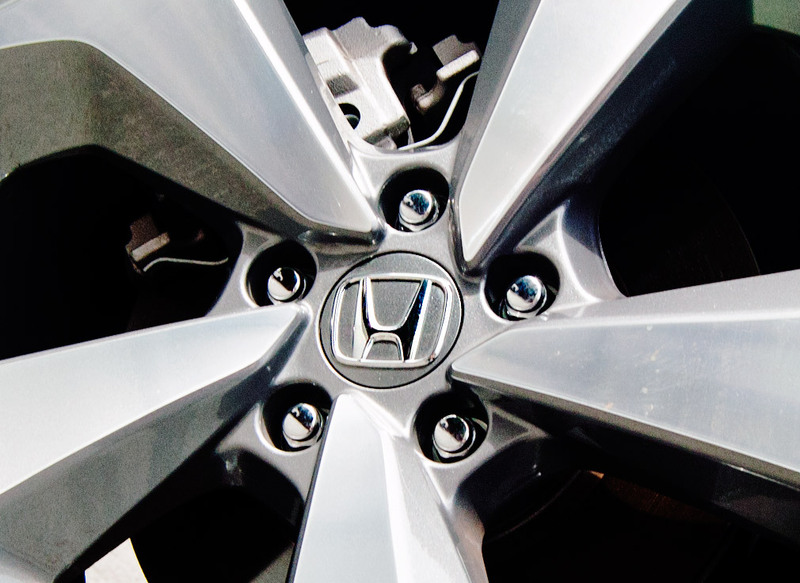 The Accord 2.0T Touring’s engine required the sharpest adjustment of expectations. The previous Accord’s V6 seemingly instant response is most missed by the supplanting of a turbocharged four. 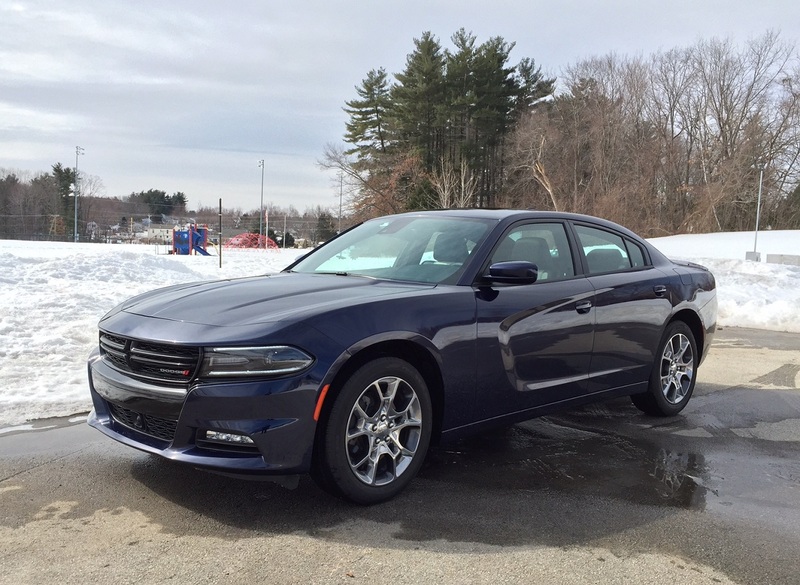 The tested Touring’s larger 2.0-liter cranks out 252 horsepower (60 more than the 1.5-liter in lower trims), and it has plenty of thrust, but it’s not quite as consistent or accessible as the V6 once was. 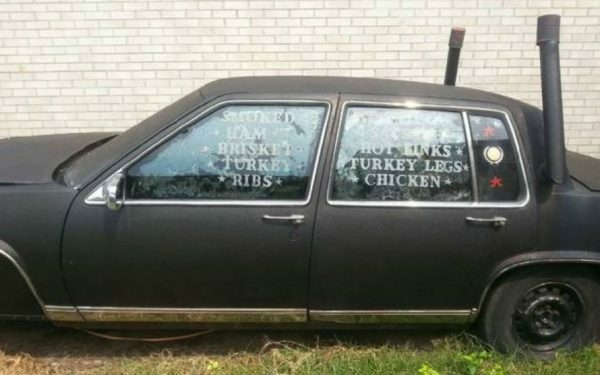 You wouldn’t think of it if you haven’t driven both, but you would if you have. Direct competitor Toyota Camry stands by with the temptation of a 301-horsepower V6. The Touring’s 10-speed transmission was impressive in unobtrusively juggling gears while keeping the turbo engine in its sweet spot. The components work smartly enough together that one would have to drive with deliberate intention to find a flat spot, and not many of those were found in our time with the Touring. 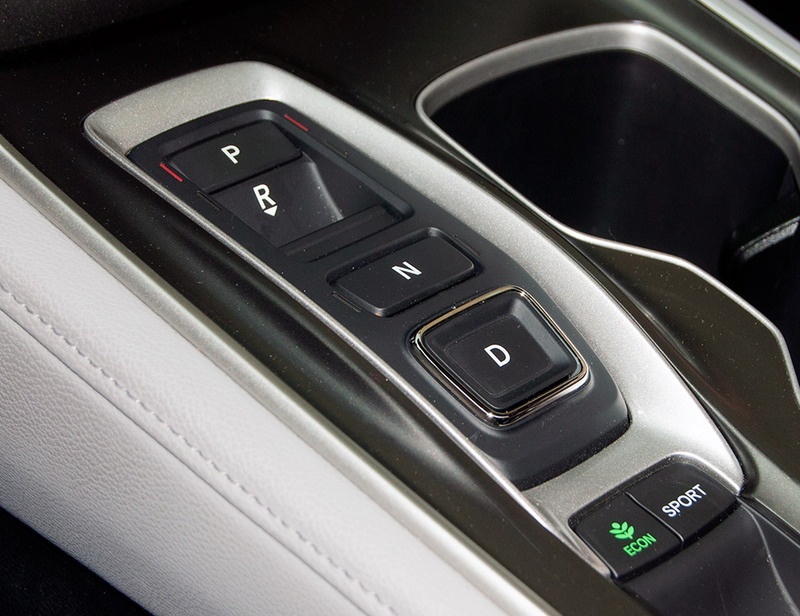 Cue the bemoaning of the push-button shifter – the delay in transmission engagement will always be longer than the flicked action of a button, and so it’s a source of frustration for drivers wanting to feel connected to the mechanical proceedings. 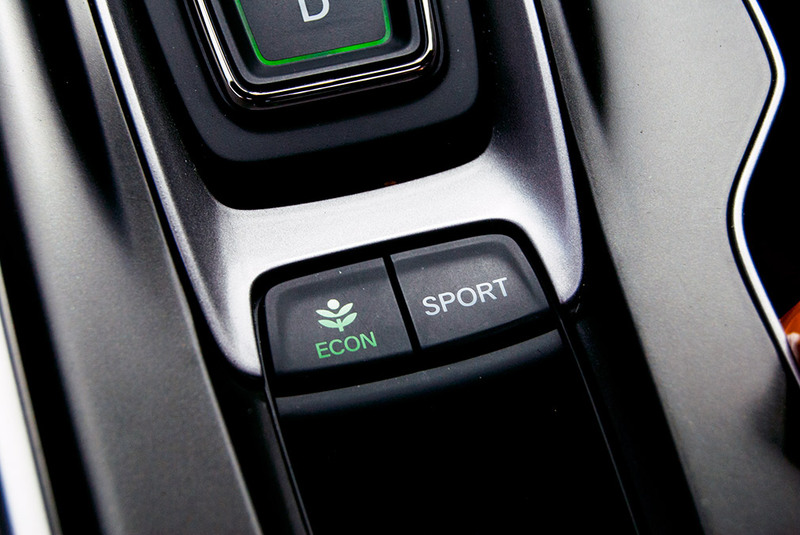 The Econ and Sport modes are clear divergences from the Touring’s default program. Econ saves fuel by slowing the responses to the point where you may feel you’ve tossed a few hundred pounds into your Accord’s trunk, while Sport serves up a snappier attitude. The tested Touring lived up to its name by delivering the textured responses that come from careful tuning. The Touring’s suspension gave a soothing ride on freeways while swallowing whole the in-town potholes that can send luxury sedans flailing. 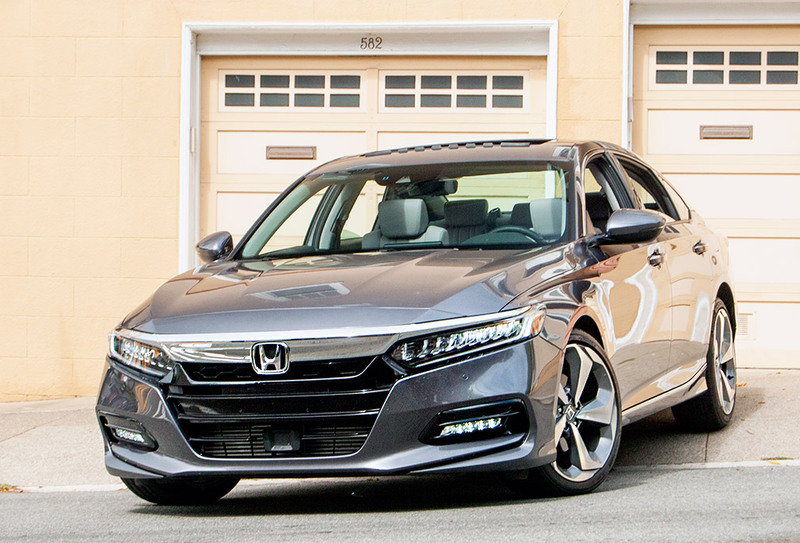 Honda’s signature agility, which we car enthusiasts worry will be snuffed out when a beloved car such as the Accord is redesigned, is still very much present. From behind the wheel, it’s easy to absorb the confidence exuded by mechanicals you can so finely dial in. 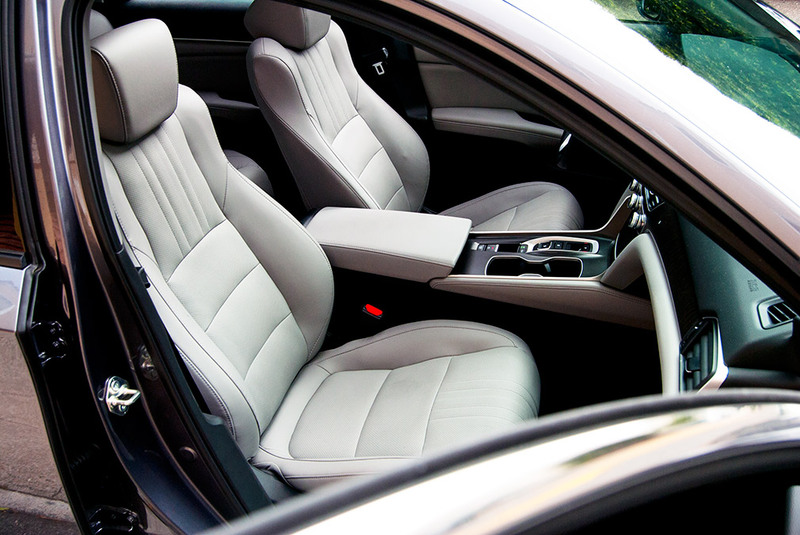 The Touring’s front seats are shaped like sporty thrones, with prominent shoulder supports and broad lower cushions. A feature typically reserved for upscale brands is a lumbar support that moves up and down within the backrest to provide targeted support, no matter how tall you are. The common alternative is one that’s arbitrarily positioned and can miss your own lumbar region entirely. Mad props go to Honda for including this extra adjustment on a mainstream model. 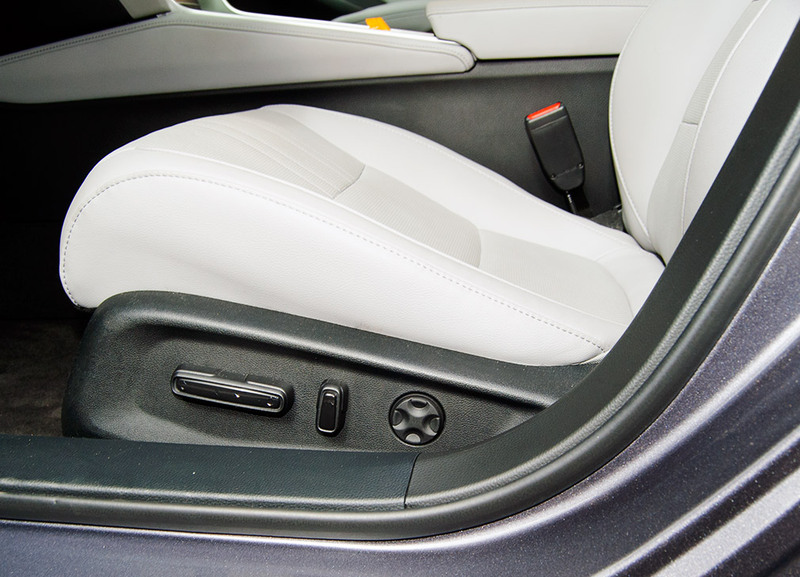 The Accord’s rear seat is also friendly to taller folks, with more than 40 inches of rear legroom – 2.4 inches more than a Camry’s. The Accord’s fastback profile means a bit of ducking while entering. 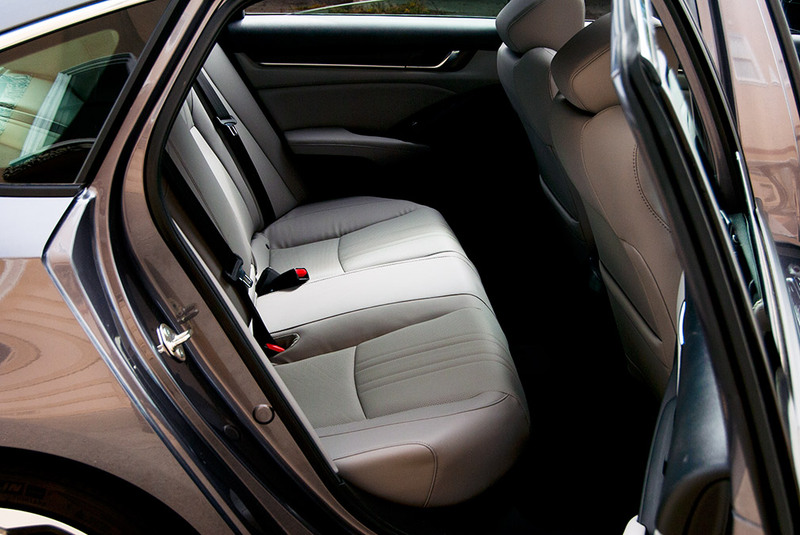 The Accord’s decent-sized trunk measures 16.7 cubic feet. It has a smallish opening, which is also a result of the fastback profile. 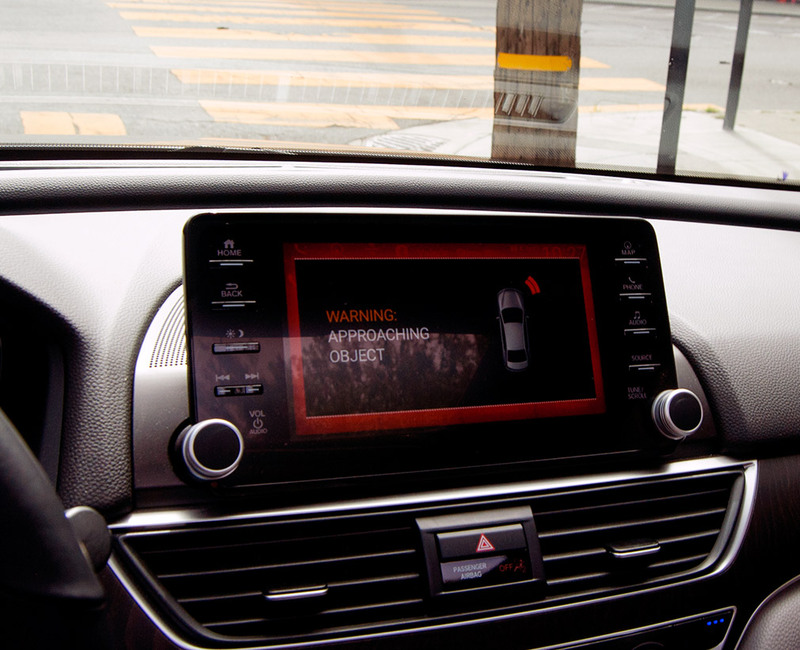 Eight inches of center screen greet the Touring driver, and Honda’s latest updates to its interface have produced a more logical feature flow, which is guided by a more tasteful interface. The screen’s look and operation matches the elegance of the instrument panel surrounding it. Alerts that take over the screen are impossible to miss. 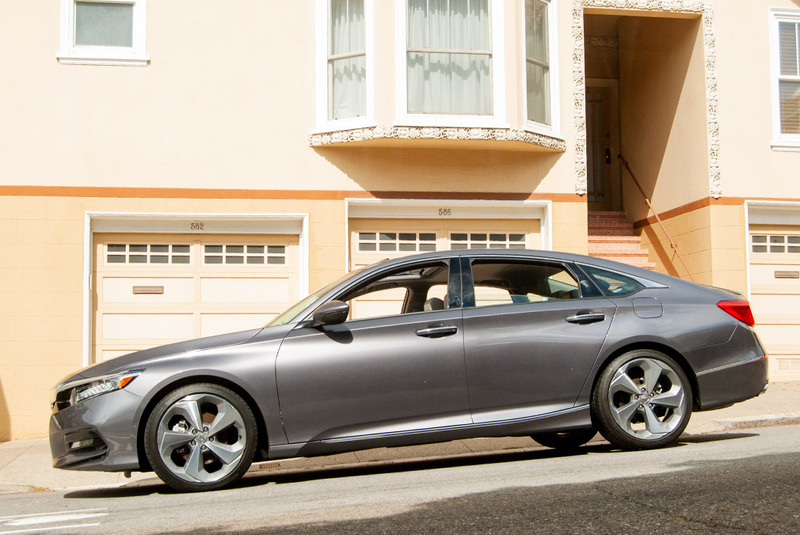 The Accord continues on as a prime choice among mid-sized sedans. While we lament the loss of old-school thrust from the V6 models of yore, the new turbo is sparky enough to still feel strong. 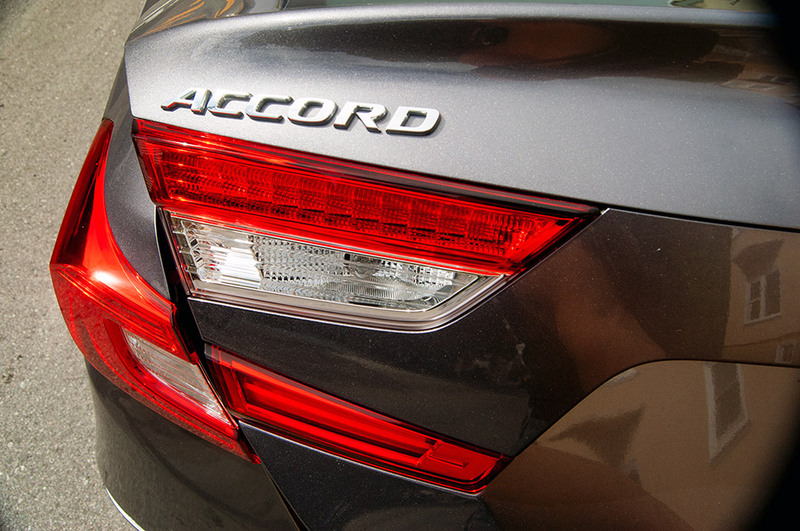 Inside and out, the latest Accord is yet another higher standard of excellence from this ever-venerable nameplate. Adjustments have been made in powertrain and styling to place the Accord on the cutting edge, and it appears it’ll be there for a while.